New device-to-cloud management platform enables simplified IoT management; service provider agnostic solution complements Inseego’s new Skyus portfolio of IoT devices and gateways. Inseego Corp. – an industry leader in solutions for intelligent mobile enterprises, announced today the availability of its all-new, enterprise-grade Inseego IoT Connect Solution. The intelligent device-to-cloud management platform dramatically optimizes Industrial Internet of Things (IIoT) use cases. Its user-friendly, service provider agnostic design allows IT managers and systems integrators to simplify management of critical assets across an enterprise. Inseego’s recently launched Skyus portfolio, coupled with Inseego IoT Connect and enterprise-level support, creates the strongest all-in-one IIoT solution offering in the industry for demanding enterprise use cases including SD-WAN failover environments, digital signage and kiosk connectivity, and utilities infrastructure management. Inseego IoT Connect: Deep Insights. Customizable. Secure. The innovative, enterprise-grade platform supports millions of devices, sensors and machines, connecting them instantly with plug-and-play simplicity in an IT and user-friendly interface. Inseego IoT Connect is engineered with the latest intelligence features that are designed for easy integration into both present and future IT/IOT environments, such as customizable dashboards, remote updates from one dashboard, secure configuration management, and customizable alerts. Distributed architecture and edge: Managers have the flexibility to create, deploy and manage IoT in the cloud and at the edge. Elastic distributed architectures may be adjusted as needed. Visibility: Managers enjoy secure end-to-end visibility to a full view of all connections, including connected sensors, across an entire enterprise with customizable permissions. Remote management: Every connected device may be remotely configured – from routing, security and alert settings and more. Simplicity is king: Easy account creation and onboarding, and a simplified overall user experience with a fully configurable interface. 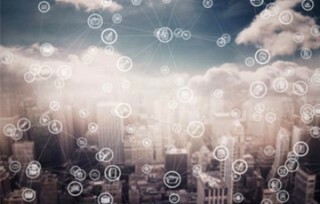 “We purposefully designed Inseego IoT Connect as a true device-to-cloud solution with the aim of making the lives of IT managers, systems integrators and project managers easier as various industries move toward IoT-centric operations to streamline workflows,” said Ashish Sharma, Executive Vice President, IoT & Mobile Solutions of Inseego. The Inseego IoT Connect solution packages with Skyus routers and gateways are commercially available now. The post Inseego Launches New IoT Cloud Solution for Industrial IoT Applications appeared first on IoT Business News.